As part of Verity Records' gospel legends series, the label presents yet another emotion-packed choir collection whose music has no doubt had the Rockies thinking of crumbling a time or two. The Colorado Mass Choir have firmly established themselves as one of gospel's premier mass choirs, featuring 80 sanctified voices under the dynamic direction of Joseph Pace II. The collection features offerings from three previously released recordings: Watch God Move, So Good, and God's Got It. It's unfortunate that there are no individual credits for soloists - the female lead on the triumphant "Still Have Joy" is amazing, especially when interacting as a call and response with the choir. The album also features the hits "Stir Up the Gift" (a brass-inflected powder keg whose male-female interaction brings to mind classic Kirk Franklin) and the encouraging, percussive, and sassy "Watch God Move." Another highlight is the gentle and reflective "We Worship You, " which features platinum recording artist Fred Hammond, an anchor artist for the label; his vocals function not only as a lead voice but cheerleader as well. This is also one of the few gospel groups which has dared to create an entirely new ballad out of the title of the familiar Christmas song "O Holy Night." 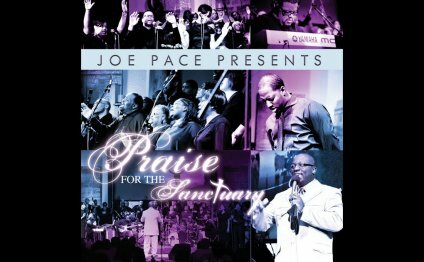 Joe Pace Colorado Mass Choir "Stir Up The Gift"